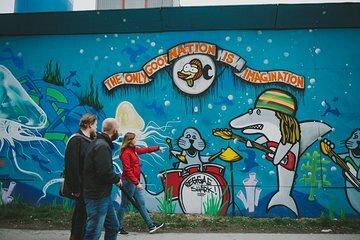 Immerse yourself in the progressive, eclectic culture of Copenhagen's Norrebro neighborhood on this walking tour. With a small group of 12 people or fewer, follow your guide down the streets lined with trendy bars, gourmet restaurants, and funky Scandinavian design shops. Get an oral history of the neighborhood through your guide's commentary and get ideas of where to explore further. Mie was excellent. I experienced a part of the city I would definitely have missed on my own! The experience is really off the beaten path and it doesn't feel like a tour, even though Mie of course let us in on all sorts of informative, fun and cool stories about the place. I especially loved the cool urban park, the cemetery, the playground and the included treat! Yum. Definitely worth it!